Home > Konavi® Lets beaks in. Keeps feet out. 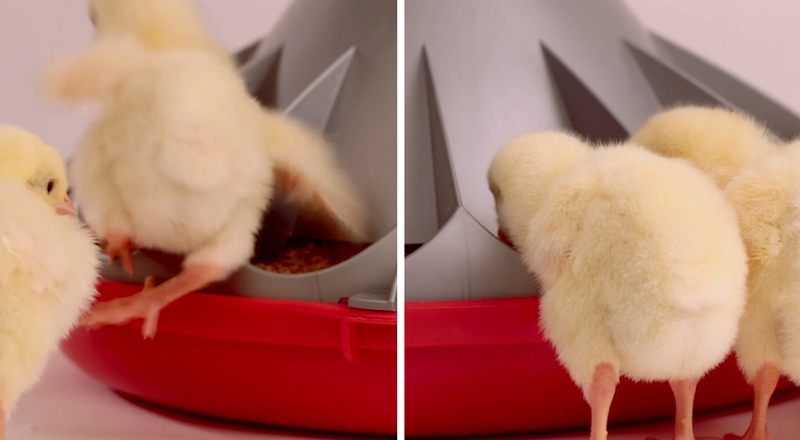 Konavi® Lets beaks in. Keeps feet out. 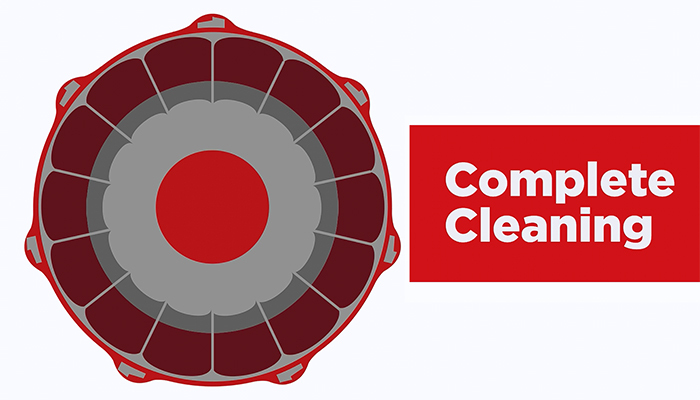 To give your birds a clean plate, there is no comparison to the Konavi® Feeder. Touch or click and drag slider handle left and right to compare the Konavi Feeder (left) and grilled feeder (right). Unretouched photos of birds at 11 days old. Birds eat from outside the open-style Konavi® Feeder versus climbing inside the grilled feeder. Unique angled cone with anti-rake fins helps keep birds out of the feeder, stopping them from introducing manure and soiled litter into the feed. 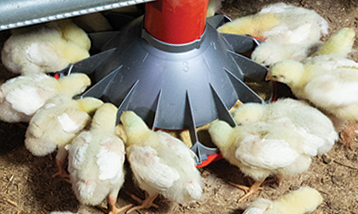 Low pan height with patented scalloped edge gives birds easy access to feed. 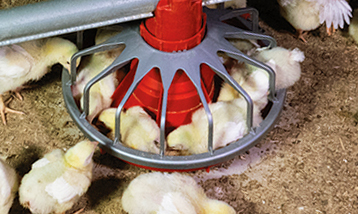 Streamlined design permits more complete cleaning between flocks for better bird health. 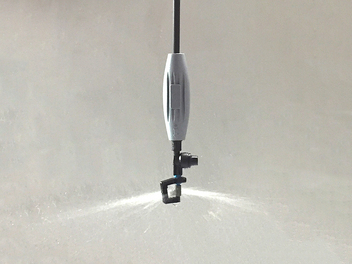 with the Konavi® Feeding System.